PRESIDENT EMMERSON MNANGAGWA’S SPOKESPERSON – George Charamba has warned MDC Alliance leader Nelson Chamisa that he won’t have an excuse if he loses the forthcoming national elections – because government has created a platform for him to campaign uninhibited. This comes as the youthful leader of the mainstream MDC is packing venues to the rafters – including in the rural areas in supposed Zanu-PF strongholds, which were a no-go area for the opposition during the dictatorial reign of former president Robert Mugabe. Addressing members of the media in the resort town of Kariba at the weekend, Charamba who is also the permanent secretary in the ministry of Media, Information and Broadcasting Services, said police should give Chamisa unlimited access to all places. “There is no reckoning in this dispensation that this election is about Zanu-PF and the MDC or whatever party, this election is about restoring international engagement and legitimacy, that is where we are. “It must be honest, it must be transparent, it must be free, it must be fair, it must meet international standards, it must be violence-free and therefore it must be universally endorsed because it is an instrument of our international policy, that is where we are,” Charamba told journalists. He also said Zanu-PF was playing a sophisticated game in this election which was actually part of the ruling party’s international policy. He dismissed any notion that the looming national elections were a contestation between Zanu-PF and the opposition but were simply to legitimise the new administration which came to power through a military intervention last November. “What young Chamisa has done and done inadvertently, but in a way that is nationally helpful, is to show that he can walk the length and breadth of this country uninhibited, which means it is going to be difficult for him to turn around and say it wasn’t free, it was unfair, then people will say comrade we saw you all over the country, and we will be singing hero sadza garwe swedera, hero sadza garwe swedera, (here is the meal, crocodile advance), in apparent reference to Mnangagwa’s moniker,” said Charamba. Professor of World Politics at the London School of Oriental and African Studies, Stephen Chan said Mnangagwa is likely to win the forthcoming elections because he has taken the thunder from opposition parties and also enjoys the goodwill of the international community. “Mnangagwa’s modernisation and internationalisation agenda has stolen ground from Chamisa as well as leaders of smaller parties,” said Chan. The opposition is demanding far reaching electoral reforms before elections are held. These include removing a veil of secrecy on ballot paper printers and reasonable time to inspect the voter’s roll, among other demands. 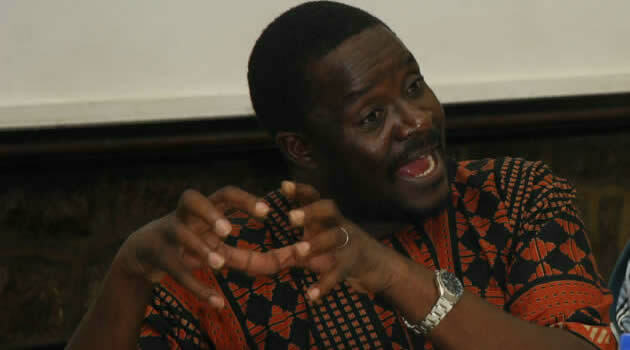 Political analyst Maxwell Saungweme said the odds are stacked against the opposition in the forthcoming elections. “Charamba is right. They know the outcome of the plebiscite is predetermined. Zimbabwe is known to be one of the best cases of elections rigging and manipulation. Charamba is indeed speaking on a point of authority.